Home Movie Reviews Tamil Movie Reviews Velaiilla Pattadhari 2 Movie Review: VIP 2, a staggering sequel!!! What is it about: It’s a direct sequel to 2014 blockbuster “Velai Illa Pattadhari”, it picks right after the first film and dives in to the life of Raghuvaran (Dhanush) who is on prowl to build a company of his own, what happens during this process forms the crux of the story directed by Soundarya Rajnikanth. Why it’s disappointing: This film is classic example of being a failure as a sequel. Most of the time sequels are a hard thing to make and in the industry where this culture is still a staggering fete it becomes really tough. It does lay out the characters perfectly to match the first film, but it doesn’t makes a mark what the previous film did. It had a soul which was missing in this sequel. The characters did their best, but the content was very generic and tends to lose the grip on the entertainment front. The characters were genuine but their performance wasn’t, everyone seemed to have been acting than performing. Few minutes in to the film, it tends feel like you’re watching a tele serial. VIP2 did have few mass scenes, but then again they were forced it didn’t gel with the story line and seemed was just there to fulfill the genre. 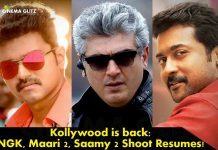 At few places, you see Dhanush over doing it, so were the other characters. Amala Paul was there to fill in the cast, so was Hrishikesh and looks like Balaji Mohan is pretty much settled with this team to make an appearance in every film Dhanush makes. Still wondering why Ritu Verma was roped in for that role. 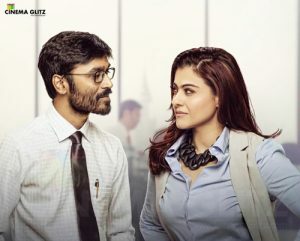 VIP had a great quotient of music infused in to it, but VIP-2 lacked that bit as it didn’t have that ring which the first film gave on the music front, wondering what happened to Sean Roldan. What to watch out for: The film in spite of all these hurdles moves forward with few things, which makes the audience say “One time Watch”. One being the sentiment of unemployed graduates. And then being Samuthrkani’s witty performance. Last but not the least “Kajol”, she was great. She seemd quite comfortable with the language and her lip sync was on target. And she managed to get the audience’s attention. Cinematography by Sameer Thahir was delectable and was precisely cut by Prasanna GK. Verdict: Soundarya Rajnikanth, was staggering to hold the mettle which was proved by the previous film. There was enough moolah in the film, but was not executed to its potential. I won’t say this one is bad, can watch once for the sake of it. Another great honor for Dhanush, to make his Cannes debut!